And this is not as scary as it might seem at first glance. Specialized viruses fighting with certain bacteria can replace antibiotics in our medicine cabinet. The problem of resistance to antibiotics is one of the most acute in modern medicine. Because of her, it is becoming increasingly difficult to fight against diseases, and even seemingly easily treated gonorrhea becomes a real calamity. A new study gives hope that scientists can find an effective substitute for antibiotics, and it will become viruses. The virus is usually associated with epidemics, pathogenic parasites, which cause considerable harm to people. But in fact, most of the viruses are harmless to us, but in fact they suffer from bacteria. Viruses that attack only bacteria are called bacteriophages, and they become ideal candidates for fighting bacteria. 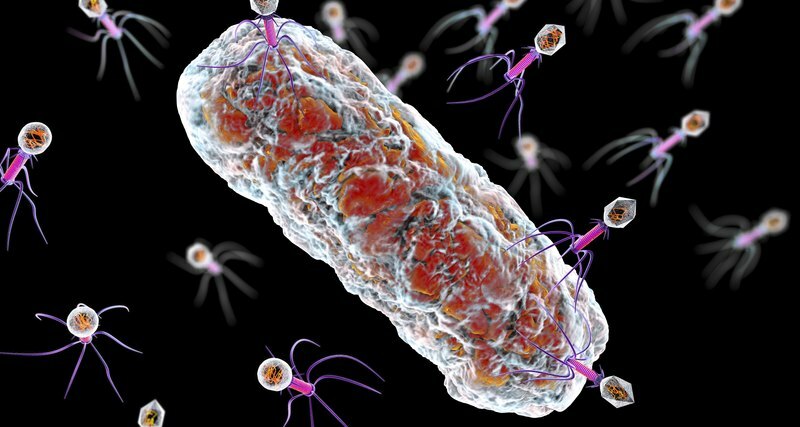 A team of researchers conducted clinical trials to determine how effective bacteriophages are in fighting disease, and whether they will have any side effects on patients. As it turned out, the bacteriophages not only perfectly cope with bacteria, but also have no side effects peculiar to antibiotics: they do not weaken the immune system and do not negatively affect the gastrointestinal system. This is due to the fact that bacteriophages attack a specific type of bacteria, in contrast to antibiotics, which strike at all bacteria at once. Hence the conclusion suggests that it is better to use viruses in fighting disease. We only need to isolate the exact form of the bacterium that has a pathogenic effect, and introduce an appropriate bacteriophage that will destroy the problem, but it does not affect the fragile balance in the human microbiome. Of course, one clinical test will not lead to the fact that soon the viruses will be sold in pharmacies, but this is a big step forward.